The cardinal was convicted Dec 11. on five charges that he sexually abused two altar servers while serving as Archbishop of Melbourne in the late 1990s. The unanimous verdict followed an earlier mistrial in which, CNA has confirmed with multiple sources, a jury was deadlocked at 10-2 in favor of a “not guilty” verdict. The guilty verdict comes ahead of a second trial, scheduled for February 2019, in which Pell will face further accusations of abuse dating back to the 1970s, during his time as a priest in Ballarat. The allegations are understood to concern Pell assaulting the two choristers in the sacristy of Melbourne cathedral, on several occasions immediately following Sunday Mass. Observers also questioned whether some courtroom tactics used state prosecutors were intended to stoke anti-clerical feelings in jury members. One priest, a Jesuit, was called as an expert witness by the defense, but was consistently referred to as a “Christian Brother” by prosecutors – a move, the court observer told CNA, that seemed calculated to invoke the religious order at the center of a widely known clerical sexual abuse scandal in the country. Full discussion of the charges and the evidence laid against Pell remains impossible because of the media blackout. The gag order was imposed at the request of prosecutors in June, who argued that media attention could bias the jury. Canberra, Australia, Jun 9, 2018 / 03:57 am (CNA/EWTN News).- A new law in Australia will require Catholic priests in Canberra to break the seal of confession to report child abusers, drawing adamant opposition from Church officials. 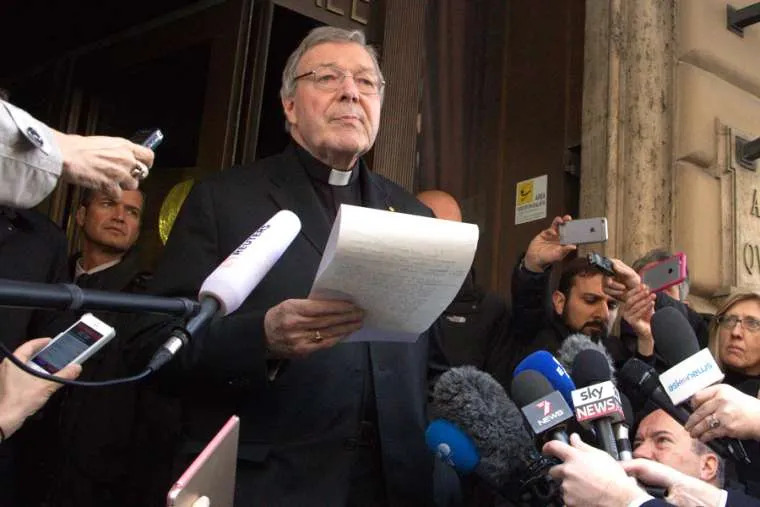 Melbourne, Australia, Mar 4, 2019 / 04:40 pm (CNA).- A man who says he was sexually assaulted in the 1970s by Australia’s Cardinal George Pell says he will file a lawsuit against the cardinal, after prosecutors scuttled a plan to try Pell for the alleged abuse. The man, whose name has not been disclosed, claims that Pell touched him inappropriately while playing with him in the swimming pool of a Church-run boys’ home where he resided. The man, referred to by his attorney as “David,” is now 50. He lived at the boys’ home from 1974 to 1978, leaving the home before he was ten years old. Pell was at that time a priest serving in Ballarat, Australia. Pell was convicted last year of five counts of sexual abuse, stemming from charges that he sexually assaulted two choir boys in a cathedral in the 1990s, while Pell was Archbishop of Melbourne. 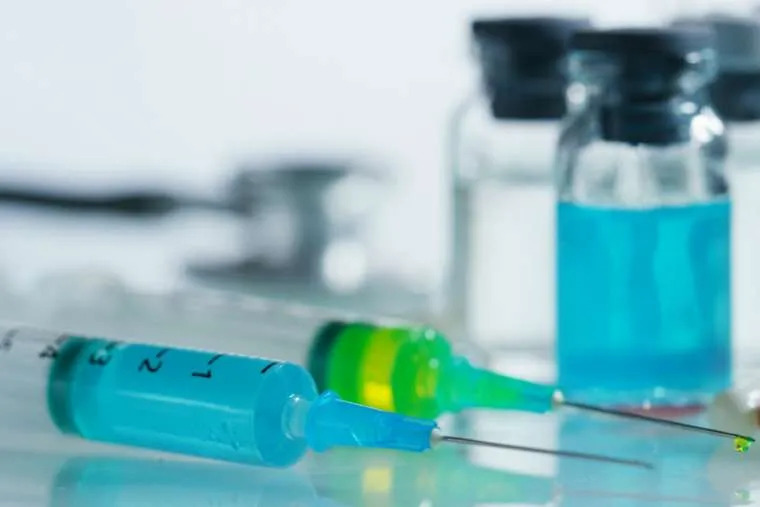 He was expected to face a second trial concerning allegations that in the 1970s he sexually assaulted two other boys in the Ballarat swimming pool. Prosecutors dropped that case before trial, citing insufficient evidence. Charges related to “David’s” claim were dropped weeks before prosecutors decided to scuttle the entire trial. The cardinal is now incarcerated, awaiting sentencing after a court hearing last week related to his previous trial. “David” alleges that he was also abused by a nun who staffed the boys’ home. In addition to Pell, he plans to include the nun’s religious order, the Sisters of Nazareth, along with the Australian state of Victoria and the Archdiocese of Melbourne in his lawsuit. Pell is appealing his criminal conviction. Melbourne law professor Jeremy Gans told the Guardian last week that there is a good chance Pell’s appeal will succeed, in large part because there was only one key witness in the prosecution’s case. While many figures in Australian media have applauded Pell’s conviction, some Australians have called it into question, prompting considerable debate across the country. Paul Kelly, editor-at large at The Australian, said last week that “the implausibility of the evidence” against Pell “raises serious doubts” that the cardinal had a fair trial. “Pell has become a lightning rod in the worldwide storm of anger at a systemic cover-up of priestly abuses. But that doesn’t make him a child molester,” Silvester said. When Sky News Australia commentator Andrew Bolt announced that he would defend Pell on his television program Feb. 26, the network pulled all advertising from the broadcast, to ensure that advertisers would not be connected to the discussion. “Sky News is committed to providing a platform for robust debate and discussion and is not afraid to tackle confronting and controversial issues,” a spokeswoman for the network told the Weekly Beast. “Sky News recognised that the controversial topic of George Pell’s conviction to be covered by one of its highest-rating commentators may have presented an environment that left advertisers open to campaigns by activists. “David” has not yet filed a lawsuit. Attorneys say that he will seek damages for psychological harm, lost wages, and medical expenses. Attorney also say they will call as witnesses other men who allege Pell sexually assaulted them in a similar fashion. Pell has denied the accusations. So, is his chief accuser’s name by any chance Titus Oates? St. Oliver Plunkett, please intercede for us. As an Australian citizen, I am appalled that the Catholic media can dare to question the verdict for such a heinous crime against children. Have you learned nothing? Just looking at the beginning of this case revolts decency. They set up “Operation Tethering” to target the Cardinal, when there had been no complaints against him. For over a full year they actively tried to find somebody, anybody who would accuse him of something. So, Mr. Steer, perhaps the police should decide that you must have committed a crime, and set out to hunt down somebody who would accuse you of a heinous crime against children. I’ll bet they’d find somebody; and with a jury consisting of clearly illogical, biased nitwits, you, too, could be condemned. If you’re an example of the kind of Australian citizen who was sitting on that jury, no wonder Justice is weeping. I googled “george pell” kafka and found this. As Hamlet said, “Something is rotten in the state of Denmark”. The conviction only become public news in Australia this week (end of February 2019). Fortunately there are very senior people speaking up for Pell, e.g. Andrew Bolt, Peter Craven, Greg Craven, Gerard Henderson, to say that the trial of Pell is a witch hunt.